Spring weather is here! While we welcome the beautiful flowers and sunny skies, we also have to welcome the bane of springtime in Atlanta…pollen. We don’t want you struggling with puffy eyes and a runny nose during the prettiest weeks of the year, so we’re sharing some ways to minimize your symptoms. First and foremost, staying hydrated will help decrease fluid buildup in your sinuses. 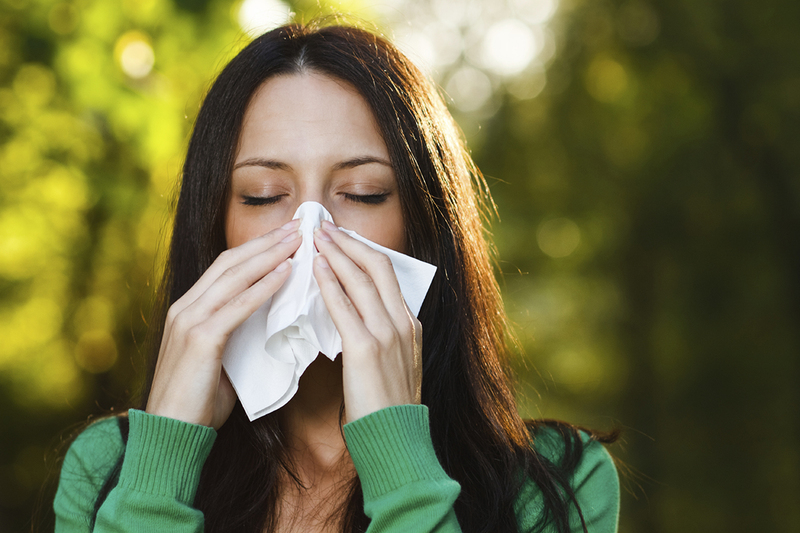 If the sinus symptoms are strong, you might want to look into an over the counter allergy medication, or try to limit your outside activities to minimize exposure. If none of these quick fixes seem to work and your breathing problems persist, a rhinoplasty procedure could be your answer. Although the procedure cannot cure your allergies, it can open airways and aid breathing problems caused by nose structure. Rhinoplasty is a highly beneficial procedure for solving the breathing problems we mentioned, along with addressing any dissatisfaction you may have with the shape, size, or other aspects of your nose. We perform both ‘open’ and ‘closed’ rhinoplasty procedures, with the distinction being whether the incision is made on the outside or inside of the nose. In an open rhinoplasty, an incision is made across the strip of tissue separating your nostrils. This technique allows for the greatest visibility of the inner nasal structures. In a closed rhinoplasty, incisions are made within your nose, and scars are not apparent externally. There are advantages to each technique and we’d love to discuss which is right for your specific needs during your first free consultation! Results from a rhinoplasty typically begin to show a few weeks after the procedure, as swelling subsides. You can see some of the amazing results from rhinoplasty procedures we’ve performed in our Before and After Gallery. If you would like to learn more about rhinoplasty procedures, please call (404) 257-9888 today to schedule your free consultation!